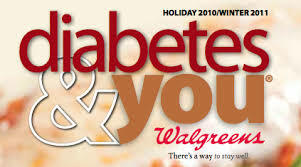 How many ways can we “Take the next step” with our diabetes? As Thanksgiving is tomorrow, and I’ll be off eating turkey, I’ve been reflecting the past few days how thankful I am and how fortunate I’ve been this year in both my personal and professional life. One of my professional joys and accolades has been the many presentations I’ve given this year at health events and conferences, and I’ve loved them all. For a girl who grew up quiet and shy, I love educating and inspiring a group. I spoke in April at Diabetes Sisters’‘Weekend for Women’ conference to 100 women, and helped them see their unique strengths to manage diabetes. In July, at Children with Diabetes’ ‘Friends for Life’ conference, I invited patients to explore and share their healthy habits, discover their personal reason for doing the work diabetes demands, and look for 1 positive thing diabetes has given them. Not one turned away scoffing. Early in the year I spoke at an American Diabetes Association conference in Madison, Wisconsin to diabetes educators, and I closed the year with the third of my ‘Take the Next Step: Get Motivated’ programs that I do with fitness trainer Kim Lyons, (sponsored by Pfizer) at TCOYD. ‘Take the Next Step: Get Motivated’ is an educational program about diabetic peripheral neuropathy (DPN), a complication of diabetes a reported 20% of patients get. It’s characterized by stabbing, throbbing, tingling or numbness in your feet and/or hands due to nerve damage. It’s highly likely many more than 20% of patients have DPN. But as I learned giving the program, many patients don’t associate DPN with diabetes. Many others are ashamed or embarrassed to talk about it with their doctor, assuming it’s their own darn fault. 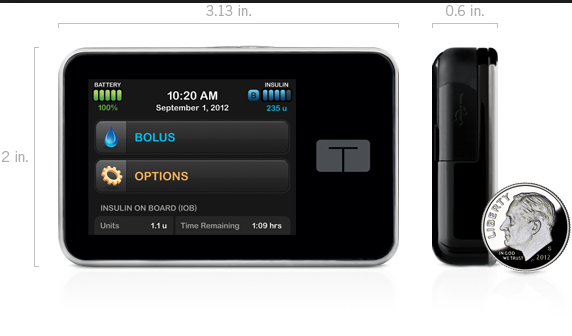 The best way to keep DPN from progressing is to manage your blood sugar. Kim and I share basic tips about managing blood sugar and diabetes – healthier eating, getting more activity – chair exercises if you can’t walk easily – taking your meds, and we share tips for living with DPN. Right now there are some great easy exercise videos Kim leads you through you can check out on diabetespainhelp.com. You’ll also find help for how to talk to your doctor about DPN. Please don’t let DPN, a very real and uncomfortable complication of diabetes, shame you away from getting the help you deserve from your health care provider. I like the title of the program. Living with diabetes, ‘Take the Next Step: Get Motivated’ can apply to anything that’s next up for us in our care. Maybe it’s time for you to take the next step to eat a little healthier – trade French fries for broccoli once or twice a week. Or take a step to move a little more – walk up a flight of stairs instead of using the elevator. Try lifting soup cans while you’re watching TV. Perhaps your next step is to know your blood sugar numbers better. If so, test a few more times this week. In the presentation, I share two stories of people I’ve interviewed, Tom and Arlene, who have type 2 diabetes and DPN and have not let it slow them down. In fact, it may have sped them up; Tom and Arlene are each about 70 years old and extremely active. When Tom was diagnosed at 52 with burning in his toes (DPN), he was, as he told me, a bona fide couch potato. His doctor said his DPN wouldn’t get any better. Tom swears it hasn’t gotten any worse and he’s so busy biking 50-70 miles a week he said he wouldn’t notice anyway. Arlene is leading hikes, snowshoeing, kayaking, and has climbed all the Appalachian mountains. I hold Tom and Arlene up as examples of ordinary people doing extraordinary things because they decided when they were diagnosed to be brave and “take the next step.” To not let diabetes stop them, but in fact have it motivate them to make their lives bigger, fuller, more satisfying and more active. What’s your next step? If you’ve got one, why not take a baby step toward it today? If you’re new to diabetes, or the diabetes online community, November 14th is World Diabetes Day. Nov. 14 is the birthday of Frederick Banting who helped discover life-saving insulin. World Diabetes Day was established by the United Nations to raise awareness of diabetes and increase funding for its prevention and treatment. We actually have the little nation of Bangladesh to thank for pushing through this resolution. Today the World Diabetes Day campaign is led by the International Diabetes Federation (IDF). Take a look at some of the great things going on and ways you can get involved.Today in many places around the world structures, and people, will be lit in blue to draw attention to the round blue symbol you see here. 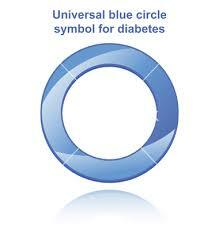 Like breast cancer’s pink ribbon, IDF is leading an effort to get all diabetes organizations to adopt the blue symbol. So today wear blue to be part of the movement and so that we can all be a little less blue as we help diabetes get the attention it deserves. Ten diabetes advocates in the online diabetes community – including yours truly – have been recognized by a new service from Dr. Mehmet Oz and partners called SharecareNow. The company’s mission is to help simplify the search for high-quality online healthcare information. They’ve just released SharecareNow 10 – their list of the top ten people reaching and impacting audiences, from mainstream news sites and personal blogs to community forums and Facebook. I’m honored to be on this list along with many fellow advocates and bloggers whom I know, and also know how hard they work helping to inform, educate and inspire all of us. I don’t yet know how SharecareNow intends to do that, but it’s a good goal and I’m curious. If SharecareNow can help carry what we all do further, that’s a win/win/win: for us, for them and mostly for patients. Along with Mr. Arnold and Dr. Oz, Oprah’s Harpo Studios is a partner. Of course I always did want to be a guest on Oprah, somehow I thought I’d be sitting in a couch in Chicago instead of my computer!